JERUSALEM (Reuters) - Israeli Prime Minister Benjamin Netanyahu on Wednesday rebuffed criticism in Washington of his plans to speak in Congress, accusing world powers of forsaking a pledge to prevent Tehran from acquiring nuclear weapons. 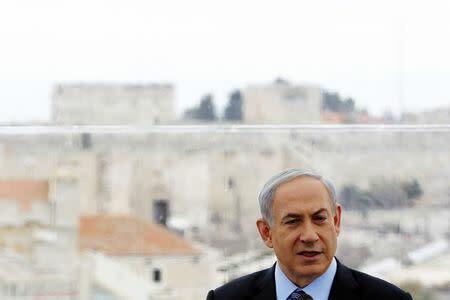 "I respect the White House and the President of the United States but on such a fateful matter, that can determine whether or not we survive, I must do everything to prevent such a great danger for Israel," Netanyahu said in a speech. He said world powers had pledged to prevent Iran from acquiring nuclear weapons, adding that "from the agreement coming together it appears they have given up on this commitment".